Who doesn’t love a good mashup? Take two (or more) things you like, smush them together, and you may end with one EPIC thing of your own design! 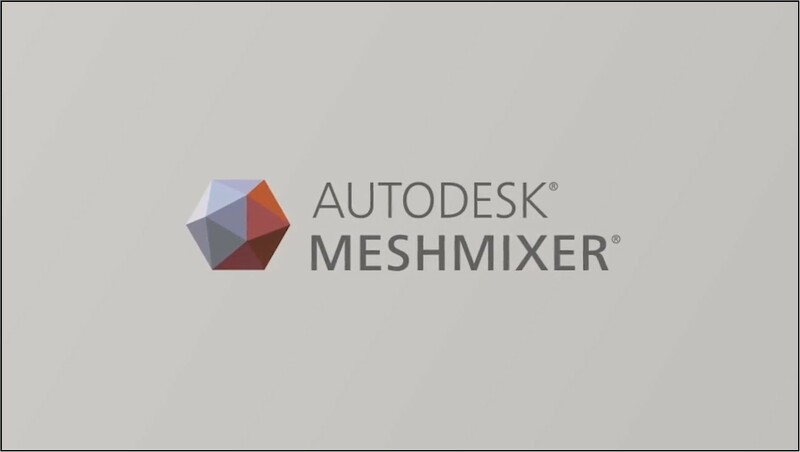 One need only perform a Google search of the word “meshmixer” to learn that it is nearly synonymous with “mashup.” Actually, I’m pretty sure that’s the main reason this software exists! Personally, I’ve only tinkered with it for one project so far, but it was more fun than a barrel of monkeys (yes, I’m aware no one says that anymore, but it’s late and Google wouldn’t give me a more-relevant idiom). 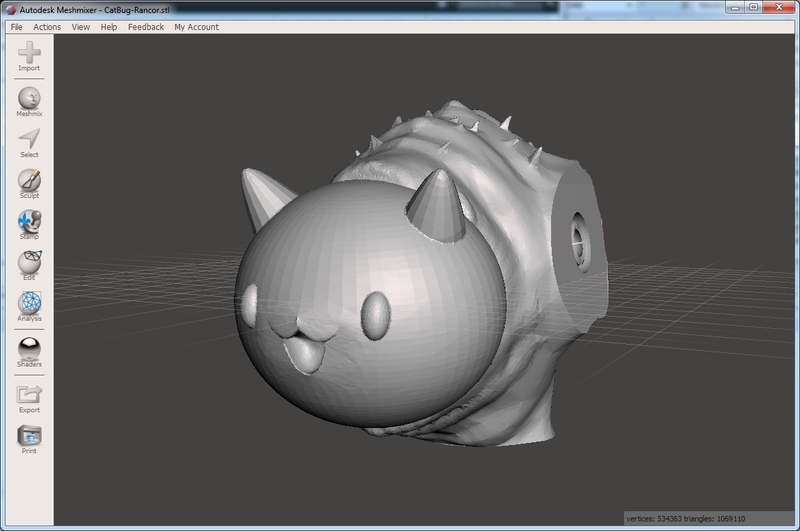 Seriously though, I could not stop giggling to myself as I cut the head off of Catbug ! (Jtm) / CC BY-NC-ND 3.0, cleaned up the shells, resized, and pasted it onto SWU Kit 1 – Jabba’s Rancor. (posable figure) (Geoffro) / CC BY-NC-ND 3.0 on my lunch break during work one day. Coworkers kept stopping by to make sure I hadn’t mentally snapped or something. I mean, I was decapitating an adorable and beloved cartoon character and fusing it with a horrifying space monster, so there might be a case for that, but one cannot argue with the hilarious end result. The software itself was pretty easy to pick up and use, especially after searching for some tutorials on YouTube. Exporting to a printable file was a breeze, and in no time at all, I had myself a new toy that no one else on earth had previously conceptualized. You want one? Due to both source files being under the “Attribution – Non-Commercial – No Derivatives” license, my only counsel is for you to get to work with Meshmixer on your own (and add some wings or something while you’re at it). And a word of advice on the remainder of the Rancor parts: the joints may not have worked the way I’d like, but a little E6000 glue made everything right for me. If you liked this, then you should have put a ring on it. You know, better yet, just follow @DragonMtnDesign on Twitter to interact, see teases of new projects, and get notified when a post goes live. Hey, JTM here, that is hilarious! Feel free to post it if you get permission from Geoffro. Glad you like it, JTM! 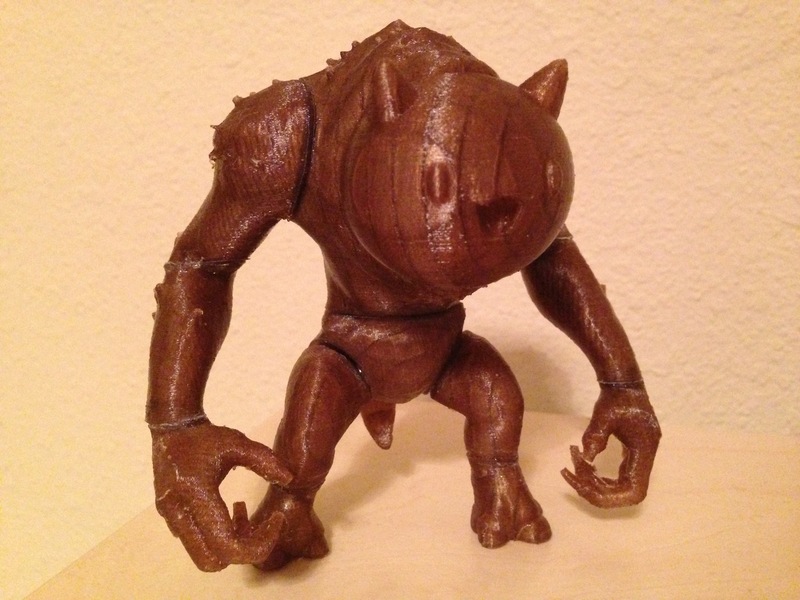 You’ve got some fantastic work up on Thingiverse.